The reality show seeks to provide the masses with a platform whereby they can realize their dreams of becoming a star. The show will not only be the first of its kind but will also be the first to involve the "Super Stars" of the acting fraternity and bring the biggest names of the film industry under one roof. The show is most likely to hit the small screens with a big bang as the fate of 12 aspiring heroes will be decided by renowned Lollywood Stars and judges of the show, Syed Noor, Resham and John Rambo (Afzal Khan). Bringing a galaxy of Lollywood icons together, the star studded reality show will be hosted by popular actor Faisal Qureshi and will also feature a number of famous guest celebrities. The show with its high entertainment value and celebrity appeal is bound to wow the audience and give them a full flavor of the film industry. 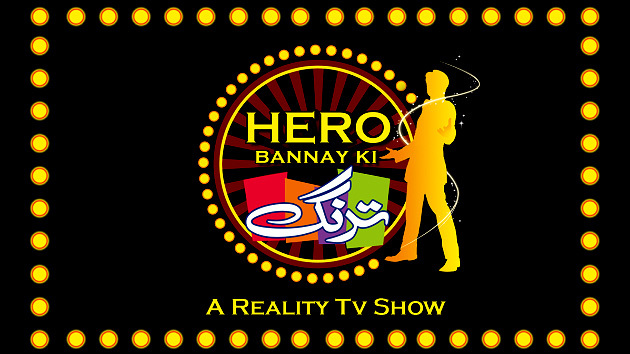 The viewers will not only enjoy the show; as it is definitely a gateway to unlimited fun and loads of entertainment as the contestants take on various roles and scenes ranging from romantic, comedy and action to musical and drama; but upon participation will also have the opportunity to win exciting prizes.